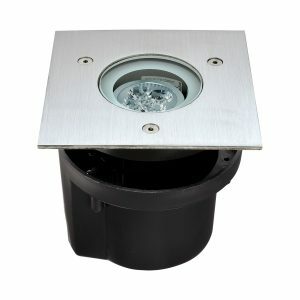 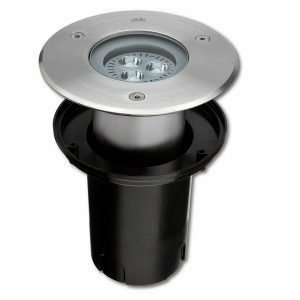 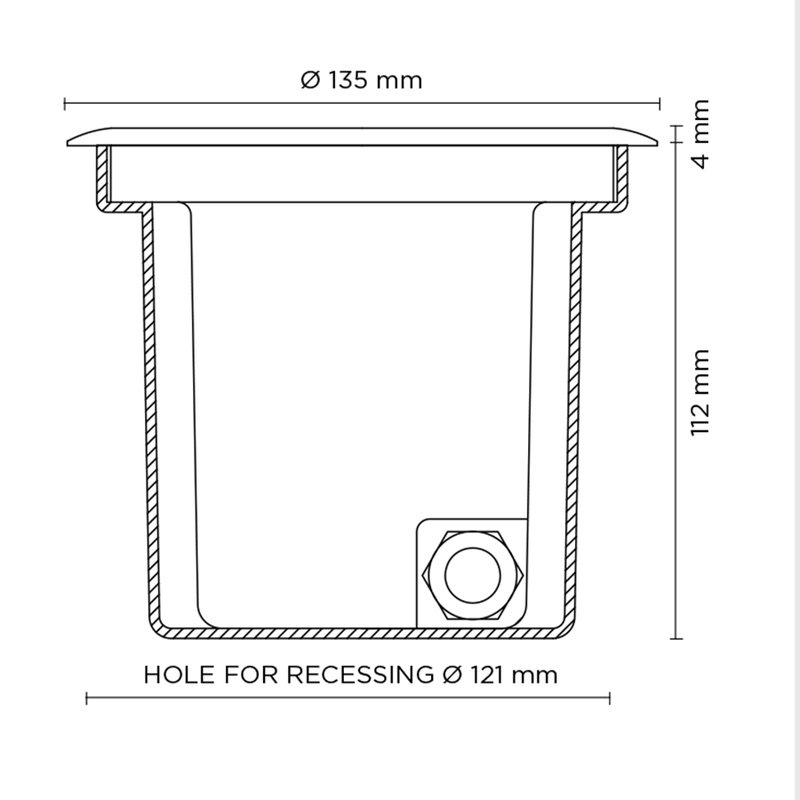 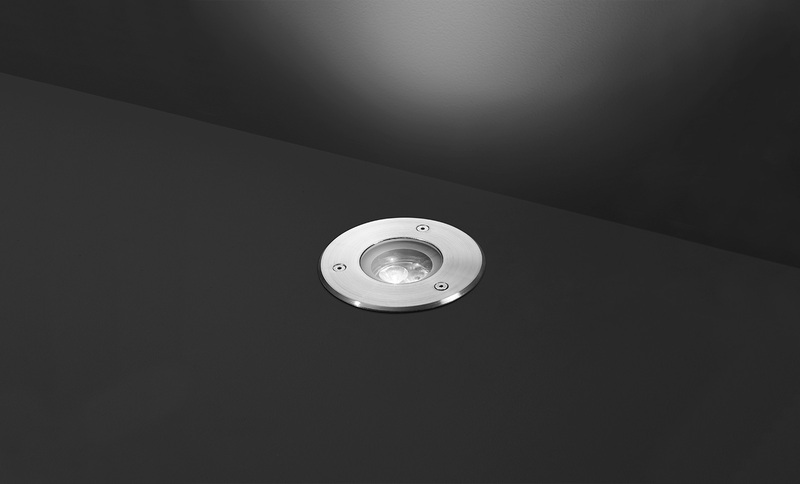 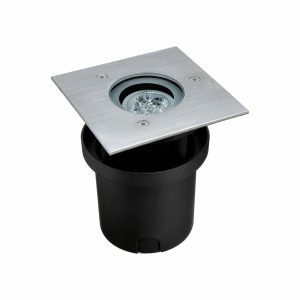 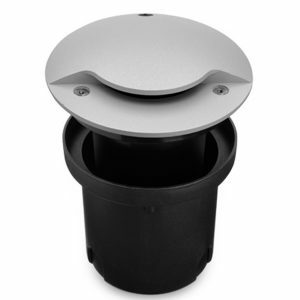 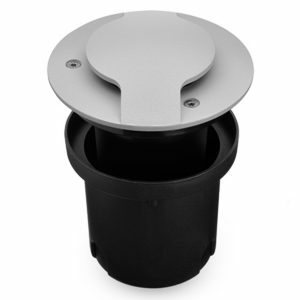 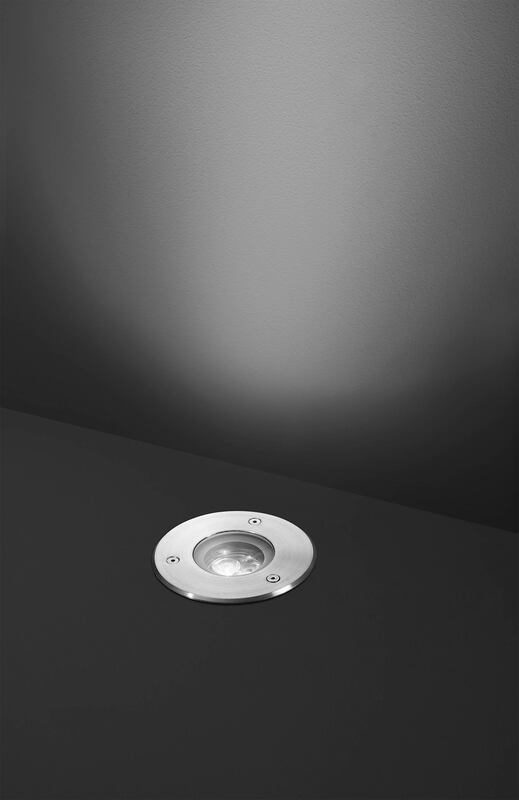 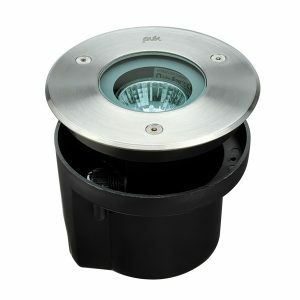 Round ground-recessed luminaire for oudoor installation, Phospho-chromatised and polyester powder coated die-cast aluminium body and stainless steel AISI 304 frame, tempered safety glass, moulded silicone gasket. 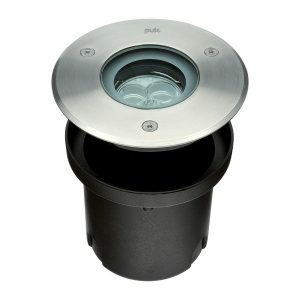 GU10 LED / halogen. 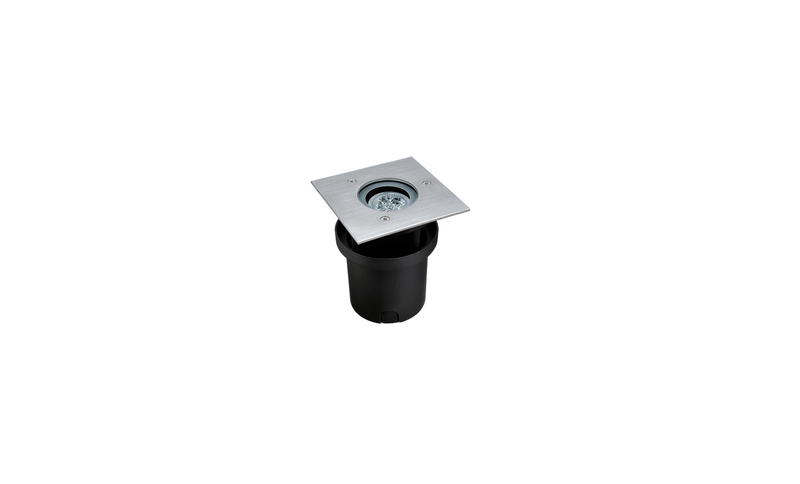 IP67 rating.